Jean Watson Research Papers discuss the theory on human caring, and the values they should have. Jean Watson is one of many research paper topics that Paper Masters provides. Use this topic suggestion as a guide on how to write a paper or order your own custom research paper. Watson’s theory holds that every nurse should understand the relationship between his or her personal traits and the professional requirements expected in the field of nursing. The unique personal traits of a nurse should enhance the service of caring and healing. Watson states, “I consider my work more a philosophical, ethical, intellectual blueprint for nursing’s evolving disciplinary/professional matrix, rather than a specific theory per se’.” Her theory is essentially a scientific approach to caring processes, phenomena, and experiences. 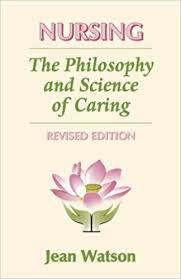 The theory of human caring was developed by Jean Watson between 1975 and 1979. While teaching at the University of Colorado, Dr. Watson combined ideas from her background in nursing and in educational, clinical and social psychology. She wanted to emphasize the importance of nursing, as it generally was overlooked as an important field in health. However, nurses embrace their own values, knowledge, and practices in regard to patient treatment. She also felt that the values held by nursing professionals could transcend other sub-specialties of health care as well as other fields in general. She recognized that practices of human caring embraced by the nursing field were focused on “subjective inner healing processes and the life world of the experiencing person”. These processes were termed “carative factors.” In contrast, conventional medicine concentrates on “curative factors”. Ten Carative factors, or “caritas,” formulate the framework for providing nursing care. “Caritas” is a Greek word meaning to cherish or appreciate something that is precious. It includes love, but on a deeper transpersonal level of caring. She states, “This relationship between love and caring connotes inner healing for self and others, extending to nature, and the larger universe, unfolding and evolving within a cosmology that is both metaphysical and transcendent with the co-evolving human in the universe”. Metaphysics research papers examine the branch of philosophy that explores the nature of being. Metaphysics Philosophy research papers examine the branch of philosophy that look into the basic questions regarding existence, and the nature of being. Effective Communication and Nursing - Jean Watson Nursing Theory research papers discuss Jean Watson's theory of nurses providing medical care and emotion support. Betty Neuman Research Papers for Nursing Students. Development research papers study Jean Piaget's child psychology theories. Leininger Nursing Theory research papers look at Leininger's theory of trans- cultural nursing. Order a research paper on Leininger's nursing theory at Paper Masters. Peplau's Theory research papers discuss the middle-range theory of nursing that revolutionized the nursing field. Grand Nursing Theories research papers discuss the nursing theories that have been developed for practice nursing. Biography of Dorothea Orem - Dorothea Orem is best known for developing the Self-Care Deficit Nursing Theory and the General Theory of Nursing. Neuman Systems Model - For this reason, Neuman's theory is flexible and can be applied in a number of ways. Leadership and Nursing research papers - One of the most oft studied leadership theory is that of situational leadership. Research Papers on Medical Treatments - references in medical health research papers for nursing students, premed students and healthcare professionals. Nurse as Patient Advocate Research Papers - Many claim that a primary nursing role is to be the patient's advocate. This role however, is not one on which all agree. Patient Safety in Nursing research papers discuss the great concerns for nurses as well as patients and their families when involved in nursing. Nursing Ethics Issues research papers ethical issues in nursing and health care organizations. Paper Masters writes custom research papers on Jean Watson and discuss the theory on human caring, and the values they should have.